Microgrids are eligible to bid into a 100-MW solicitation for new preferred resources that was issued this week by Southern California Edison, said a utility spokesman. SCE issued the request for offers Sept. 28, 2015 to acquire renewable energy, capacity and load reduction. The utility wants the resources to also serve the local system, including providing ancillary grid services. Known as PRP RFO #2, the solicitation does not specifically seek microgrids. However, it contemplates hybrid projects, a category that encompasses microgrids. To be eligible, the microgrids must add megawatts to the grid, according to Robert Laffoon-Villegas, SCE spokesman. “The success or competitiveness of the project in the bidding process would depend on the specific economics of the project proposed,” he said. The RFO is the second solicitation launched to support SCE’s preferred resources pilot in central and southern Orange County. 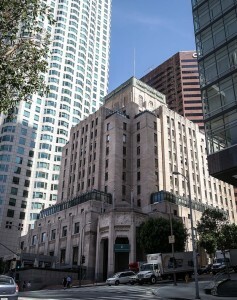 The utility is testing clean energy options to see if the right mix will avert a need to build new gas-fired generation. SCE intends to use the pilot results to help make decisions about resource use throughout its service territory. Distributed energy has become important to the region, which lacks conventional power since San Onofre Nuclear Generating Station closed in 2013. SCE expects government regulations to further reduce the number of large power plants operating after 2020. Meanwhile, policymakers are pushing for use of green energy over gas-fired replacements. The RFO specifically seeks up to 100 MW, for delivery in 2018, of renewable distributed generation, demand response, and energy storage, as well as renewable generation paired with energy storage. Eligible resources must connect to circuits or load that feed into the Johanna or Santiago substations in Orange County. SCE has scheduled an in-person bidder’s conference on Oct. 16 in the Orange County area. Conference details can be accessed by registering at sceprprfo.accionpower.com and selecting the “PRP RFO #2” link. “The grid of the future will have a mix of these preferred resources providing reliable and affordable service to our customers while reducing or eliminating the need to build new gas-fired plants,” McAndrews said. 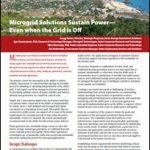 Track microgrid solicitations by following us on Twitter @Micogridnews.